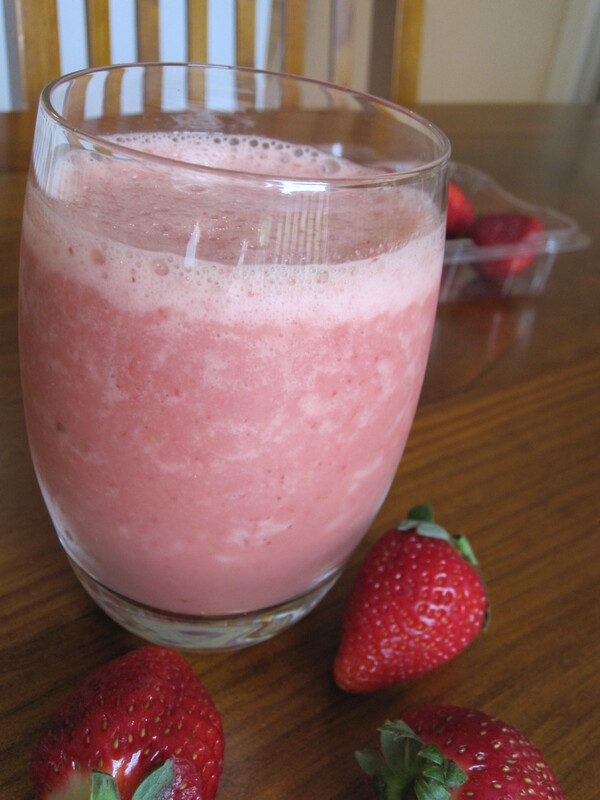 I frequently make a Merry Monkey for breakfast – but today I decided to deviate from the usual and create a Strawberry Smoothy instead… turned out great! Put all the ingredients into a blender and blend away until smooth and serve. The Mesquite adds a little bit of a nutty caramel flavour – just a bit different.